We have a Comprehensive set of Questions & Answers here by Catergory for you to look through, but if you’ve still got a question, drop us a line here. We accept all major Credit & Debit Cards, Bank Transfers, Direct Debit and Cheque. Our Direct Debit scheme is a quick and easy set up with a payment plan option. 1. Is a single payment collected for the full term. Or 2. Is to have the term fees split in two, half at the time of booking and half one month later. 2. Do you have a waiting list? Our classes and Private lessons are very popular and can at times be over subscribed. We have a LIVE booking system that displays availability for each venue and class, this system is also used to make advanced bookings to secure your place on the next term. We do honour our existing swimmers in that they will have priority for class places if they have confirmed in good time. We do also enrol clients in advance of their chosen term & class so they can to assured of a place on our programme. So if you are expecting your baby soon or would like your 3 year old to have a confirmed place in our Beginners class when he/she comes of age, Yes we do take an advanced booking & payment to secure you, your child or your little one, a place for swimming lessons. 3. Enrol Mid - Term ? Yes; To enrol, Ideally starting and finishing a complete term is best for you, but providing we have space, yes you can enrol even if your late. Since our classes foster a fantastic group dynamic for both adults and children, it’s best nurtured by starting your journey together. After you enrol, You’ll probably find yourself exchanging contact details, sharing experiences (in and out of the pool) as well as coffee, cake and sharing your joys and fears, right from day one. 4. Do I Enrol for every Term? No, once you have Registered, Enrolled and been accepted on the JEM programme, you will not need to repeat this every term. With Registration and class attendance, you will be offered a personal members account on our website to manage your bookings and password etc. We work on the "Roll Over System" meaning that we assume you will continue to attend the next term, but do require your class place to be confirmed by booking & payment via our webiste 3-4 wks before term ends. If you want to "Opt Out" of your lesson plan and placement, we do require advance notice 3-4 wks before term ends. 5. How much are Lessons? We accept Credit & Debit Cards, Bank Transfer, Direct Debit and Cheque. The cost is from £8 - £10 per lesson per child and is paid per term at the time of registration/enrolment booking, payment is in advance for the full term. Alternatively we have a Direct Debit method of payment. This can done by two options: 1. Is a single payment collected for the full term. 2. Is to have the term fees split in two, half at the time of booking and half one month later. Private Lesson on a 1:1 or 2:1 basis are naturally higher than classes and are priced on the individual courses offered in each term. Other course types, i.e. Crash Courses, Snorkelling etc. are priced as per item price offered in each term. JEM also run promotions and members offers which will be circulated in our members Newsletter. 6. How long is a Term? Each term at JEM Swim School generally coincides with school terms. The number of lessons per term therefore depends on the length of the relevant school term. For example if Winter term is 11 weeks long then there will be 11 weeks of swimming lessons, and if Spring term is 8 weeks long there will 8 weeks of lessons. Private Lessons 1:1 & 2:1 do not necessarily always follow school terms and can commence by client agreement. Intensive Crash Course terms are usually attended over the course of a 5 day week Mon - Fri period. These are intensive blocks of five lessons in a row, one per day for five days. Children and Adults often flourish in this environment having more regular skill development. Summer terms will usually be attended over an 6 week period. 7. How to Enrol at JEM? Enrolment, Registration and All bookings are made on line as follows. Click on Book a Class or Time Tables to find the Class place, Group or Private Lesson you wish to join. Find your class by clicking on the Venue (Belfast Arena etc.) or the Class Type (Water Babies etc. ), alternatively use the Time Tables and click on the links found next to your chosen class and your booking class will appear. View and select your class, choose the Number of places you require and then by click on "Add to Basket". If no further places are required, proceed to "View my Basket". Your cart will now show your chosen place and price, you can now "Proceed to Checkout". Enter your details, coupon, Medical conditions and Notes if applicable. Select payment method and click on book your class. E-mail confirmation will be sent to you following your booking. You are now Enrolled for your class and Registered with JEM Swim School. You will now have a personal account at JEM, which provides a dashboard to view your recent orders, manage and edit your password and account details. 2. How long can we stay at JEM? For all JEM Babies, you journey has just begun! We enrol babies from 4 weeks, the baby and toddlers stage will spread over a 3 year period. Following this we will introduce you to Big School, were we can accept children from 3 years into an Independant swimming class .... Yes without Mummy or Daddy! 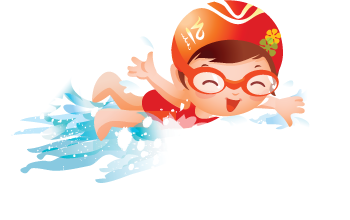 All the fondation work at JEM Babies will suddenly pay off as your child enters into the Big world of swimming for real. As a JEM client, you will be assurred of our very best guidance and support through our swimming school which is one of the biggest schools in the country. 3. What to bring to Class ? Don't ladden yourself down, travel light, In a nutshell – as little as possible, as changing rooms can be busy! A paper swim nappy, or reusable nappy wrap & liner, worn underneath a snug-fitting neoprene top nappy. Don’t worry if you can’t initially find an ‘under nappy’ small enough; it’s the fit of the top one that counts. Please don’t be tempted to use an ordinary disposable nappy, as it will just do its job and soak up vast amounts of pool water – and saturated nappies split open, meaning there’s a greater risk of contaminating the pool. Plus, poor baby will weigh a ton weight. A snug-fitting neoprene top nappy, this should be either a Happy Nappy or a Neo Nappy which are approved for use in lessons. There should be a good seal around little tummies and thighs - this really isn’t the time to buy two sizes up and ‘let them grow into it’! We’ll check it fits correctly when you come along to your first lesson . Your baby is welcome to wear another swimming costume on top, but that’s entirely up to you. A baby Wetsuit, Wrap, or Warm in one - even though we swim in warm water pools your little one may need a bit of extra warmth. Splash About website have a full range of clothing for taking your baby swimming yourself at your local public pool which can be cooler. A summer or winter hat and coat to pop on your baby as you’re leaving the pool. We mostly hire local pools that you may already be familiar with, but if not, it's a facility aspect that's outside our control. Some of the pools do have smaller changing rooms, so please come with as little equipment as possible. Sometimes we have to ask that you leave your pram outside the changing area or pool area, but we’ll always make things like that clear beforehand. Please always bring a changing mat, as changing your baby on the floor is by far the safest method. It’s also important that you and your baby shower after swimming – most venues have shower facilities, but again these can be limited so you might want to do this at home instead. 5. Hat & Goggles ? Are they compulsary - No. Personal preference is the best guide here, but they are certainly not complusary. If suitable to you, you can wear Goggles & Hat in Baby, Kids or Adult classes. In a baby class goggles can be useful for underwater viewing and indeed for both of you at the toddler stage. Having your own goggles means they’ll fit you perfectly and will reduce the risk of eye infections. Completely clear lenses and frames are best, as they will maximise your baby’s ability to see your face, which helps to reassure them. Non-tinted lenses mean that all the babies in your class can see your eyes, so they’re less likely to get upset by them. Your child might be a little unsettled by seeing you in goggles for the first time, so practice at home and let your child get used to seeing you having a litttle fun. 6. What about Feeding ? Just like adults, all babies have different metabolism's and comfort levels, but as a guide we recommend trying to feed your baby 1-2 hours before the lesson, and leaving an hour between your toddler eating solid food and then swimming. Babies and toddlers can both get hungry after such a good workout, so be prepared to feed them or offer a snack afterwards! 7. Enrol Mid - Term ? 8. Can Both Parents attend Class? Yes ! , Either parent (or even your grandparents or older brothers & sisters) can join in the fun at the pool. Occassionally space restrictions at poolside should be considered and assesssed. We can by arrangement allow both parents in the water with your child during the class, which is real bonding exercise just in itself. Please note that the person swimming with your child must be a responsible adult. 9. Time - Arrive for Lesson? Lessons start promptly at the time detailed in your booking, and each class lasts 30 minutes. Changing room congestion can be avoided by overlap planning, please try to arrive no earlier than 15 minutes before the start, and be at the poolside a few minutes beforehand, having dressed your child appropriately and having both had a shower using the pool facilities, if available, or at home immediately beforehand if not. 10. Must the Adult be a Swimmer? No. We’ve taught the children of hundreds of parents or guardians who have exhibited the full spectrum from slight anxiety to downright terror! The water is always shallow enough to stand up in, and you would never have to go underwater unless you want to. Most anxious parents want to bring their child to JEM Babies so that they don’t pass on their fears to their child, some have even gone on and learnt to swim themselves! Babies have a complex set of reflexes which develop in the womb. Babies are born with a “Swimmer’s or Gag Reflex”, which stays strong for the first 200 days of life. Basically, this reflex allows children to involuntarily hold their breath when submerged in water, as the environment mimics their surroundings in the womb. When this reflex is activated, a baby will instinctively hold its breath and avoid inhaling water in response to the sensation of feeling water on its face, nose, throat and voice box. In addition, our instructors use a method of teaching in which repetitive motions and verbal cues are used so that students are expecting the submersion. It truly becomes natural and effortless for students, at any age, to learn to hold their breath and swim comfortably. 12. What if my child is sick? We know it's common sense but, never bring your child swimming if either you or they have any significant illness, including ear infections, chicken pox, flu systoms, or vomiting/diarrhoea. It’s never a good idea to go swimming when sick, be fair to all concerned your child, the other families, your teacher, and the pool. Please ensure that any sickness/diarrhoea symptoms, infections etc. have completely cleared up fior at least 48hrs before your lesson. 13. What Nappy should we Wear? Babies poo just about whenever they feel the need, even happily toilet-trained toddlers can ignore the warning signs when they’re having loads of fun in the swimming pool. That’s why all JEM Babies, baby or toddler, must wear our double nappy system at their swim classes, which means a paper swim nappy (disposable or reusable) with a Happy Nappy (neoprene sealed) over the top. This approach is both a Health and Saftey requirement and a well proven proactive system. This combination is best for avoiding accidents in the pool protecting all concerned. Ordinary swim nappies are insufficient. Better safe than sorry, this belt-and-braces approach really helps to avoid leaks, which in turn helps to prevent the spread of all sorts of bugs. The short answer to this question is; No Babies in the pool without the Double Nappy System. If you would like us to supply you with a Happy Nappy, just drop us a line with size, gender etc. A Snug or Baby Wet Suit can also be used for extra warmth for babies who may feel the cold more, they have a built in Happy Nappy so only a disposable nappy is needed with these suits. Please always take your used nappies away with you, unless a clearly marked nappy bin has been provided, and never leave any in an open bin. JEM Babies thrive as they learn to swim more independently with the use of swimming aids and mum, dad or a guardian by their side for security and support. Learning is fun while focused. The programme begins with the introduction of correct and safe entries and exits (both free and accompanied), rolling from front to back, arm and leg movements, breath control and submersions, climbing out and jumping in. JEM Babies then progress to develop co-ordination, bonding with their parent/guardian, social interaction, movements, rotations and finally independent movement. The foundation skills taught in JEM Babies Level 1, such as, water safety, the importance of eye contact and correct holds for young children, are also reinforced throughout the programme. Babies love and have no inherent fear of the water so there’s no better time to start swimming lessons. JEM Babies builds upon a baby’s natural love and ability of the water, introducing both parent and baby to water safety, correct and safe entries and exits, the importance of eye contact, correct holds for infants, submersions, holding on as well as free movement with an adult. They will develop the knowledge and instinct to rise to the surface and float or move to the side and hold on; skills that may one day save their life. Our JEM Babies Specialist lessons will ensure your first in water experience is both exciting and blissful for you and baby. Your baby will surprise you as our experienced teachers help you transition them gently from the early swimming reflexes they are born with through to conscious swimming movements such as floating, moving through the water front and back, submersions with a smile and holding on to the side (a safety imperative). Baby will learn these movements through specially designed progressive lessons based on our years of experience as specialists in baby swimming. And most importantly the environment is safe and controlled, with a group of like minded parents in warm water - an absolute non negotiable for baby lessons. 17. JEM Babies - Starting age ? We enrol JEM babies from 4 wks of age as more and more research is showing that the earlier you can get your baby into the water the better it is for them. The water provides free movement for a young baby as there is little gravitational pull. It enables the baby to strengthen their muscles and it is also so important for their brain development as well as safety in the water. Research is showing that a baby who starts swimming is more intelligent and better at fundamental skill development than their equivalent peers. We have also found that children who begin lessons early benefit from advanced development, as they perform better academically and athletically because their brains have been exposed to more oxygen. An oxygen-nourished brain creates a stronger individual, mentally, and physically. 2. Hat & Goggles ? If you believe that your child has any form of medical condition, or has a syndrome, which might reasonably affect his or her participation in swim lessons, please advise us during the registration form process in the space provided. 5. Do I need Ear Plugs? Only if recommend by his/her pediatrician. Ear plugs are available from many shops, we would recommend Putty Buddies and can be found on Amazon. 6. Eczema & Swimming ? Any skin complaint is uncomfortable and more so for swimmers. Chlorine within the water can aggravate the complaint and thus add to very itchy skin. In the balance of things the overall benefit of learning to swim out ways the complaint of eczema and children should continue to learn to swim as a necessary life skill. There are ways of making things a little gentler on the skin though: Silicone Barrier Cream (antiseptic and non toxic) from the Pharmacy is highly recommended and should be applied to skin before swimming, Aqueous cream applied after swimming is also of benefit. TRI Swim chlorine removing shampoo may help, stay away from perfumed or scented creams that do not create a barrier from the chlorine water. 7. Do I have to get in ? Parent or guardian participation is compulsary in this class group which extends from 1 mth - 36 mths . Again, Parent or guardian participation is compulsary in this class group which extends from 3 years and over. This is our First entry level teaching class for independant swimmers and it is a non-parent participation lesson. This class does not require the parent to enter the pool with their child, we have excellent teaching and assistant staff to supervise the lesson along with Lifeguard attendance. The childs entry criteria is 3 years and over plus a willingness to intergrate in a peer group sesssion. 8. What is your Curriculum? The ILSP offers a fun, comprehensive and engaging learn to swim programme supported by vibrant eye catching certificates available at a cost effective rate, accompanied success trackers for children and parents to track success and stay motivated throughout the programme. Helping children recognise that great sense of achievement. There is also a full range of material available to support the programme, from banners, posters and even STAnley the seal cuddly toys. The ILSP recognises that pupils learn to swim at many different ages and progress at varying paces. It also appreciates that swimming teachers use different techniques and have different levels of experience. But at the same time, both parties recognise that at no stage should safety, quality standards or consistency be compromised. Whilst the ILSP is a complete and comprehensive scheme it also recognises that many organisations may have adopted an alternative learn to swim scheme or have devised their own scheme. With this in mind, comparisons to other schemes have been identified, making it easy for operators to transfer to the ILSP. 9. Water - Over a child's Face? Keep in mind that our instructors have a lot of experience with children (and adults) who do not like water on their faces. Ultimately, this is a major component in learning to swim that (we believe) must be overcome. How do we aid this process? Exposure, exposure, exposure; followed by gentle coaxing and a lot of praise. We also request the help of parents in encouraging children to get their faces wet during bath time. Handing a child a dry towel or reaching to wipe their wet face will only prolong and enforce their phobia. If you encourage and promote them to blow bubbles and get their faces wet, they will learn to overcome their discomfort while they are learning to swim. 10. Why - Learn to Swim? This is possibly the best question to ask. Quite simply, if a child or Adult cannot swim, their life is at risk. Swimming is one of the fundamental skills Children and Adults need. It helps to develop our brains well and to confidently participate in movement activities as we grow. Learning to swim supports development of the vestibular system that is critical to balance in almost all sports. Research also now shows that babies who learn to swim enjoy vital skin-on-skin contact while in water. This releases oxytocin in a babies brain which is the calming hormone. These babies go on to being able to better deal with stress as adults and are less likely to develop depression as an adult. 11. Describe a Kids Lesson? The moment you enrol at JEM we have already started work behind the scenes on your behalf, we group children of similar ability and age to ensure a group development plan. The teacher will have advance notice of their pupils and prepare a course plan appropriate to age and ability. The first lesson of the term incorporates an assessment/evaluation of each pupil in the class without making the pupil feel scrutinised. The lesson will be structured and in line with the STA's International Learn to Swim Programme which has taught millions of children worldwide to swim using this system. But a JEM's we go further, we pioneered the "Teacher in the Water" concept while others taught lessons from the poolside. We believe that a child we feel reassured and more confident if the teacher is in the pool alongside the class giving physical support, practical demonstrations and providing an adding safety dimension to the lesson. At JEM we are a child lead provider, ensuring that the child is happy and comfortable to reproduce the tasks and requests being asked of them by their teacher. The child's water skills and confidence will grow with repetition and experience, slowly building on previous learning. The lesson will proceed with a mixture of group tasks and individual participation, culminating to a lesson end period of teacher lead casual fun and enjoyment. The lesson will last for 30 minutes with the teacher in the water at all times, lifeguard observation and assistant staff supporting the lesson. 12. What is - Fear of the Water? Some of the more common causes of early fear of the water can be related to family dynamics and behaviour in and around water environments. Being forced to participate in water activities before being properly prepared. Having parents who are afraid of the water and have either knowingly or unknowingly communicated this fear to their children. Being brought up in an environment that prohibited childhood water play, whether as a result of lack of opportunity or parental actions. Being involved in or witnessing a traumatic water accident. Fear of the water is acquired over time. The older a child is when first joining a learn-to-swim program, the more challenging his or her fear will likely be to overcome. Remember, learning to swim is a life-saving skill - the best day to start swimming lessons, was yesterday! 13. Can I Change - day or time? To make a change to your swimming lessons class or make changes to days and/or times on your swimming lessons. Please keep in mind that our commitment to have small class sizes can mean many classes are full - therefore a change in class will only be possible if a space is available to move to. If your child is showing flu-like symptoms, ear infection, diarrhoea, fever or any stomach or digestion problems, we request that they do not attend swimming lessons until they are feeling better. Please call or email the office if your child will be absent from class. 15. My child might cry? Our teachers are trained to work with even the most fearful or nervous swimmers. Reassure your child and stay calm and then let the instructor work with your child. There are different degrees of crying. A certain amount of crying comes and goes with tot's and can be expected from some beginners. Some children experience separation anxiety or fear of a new place which both will diminish over time. Over the years we have developed many strategies to work through and overcome a student’s fears and anxiety. We recommend that you do not pull your child out of the pool during a lesson or stop lessons altogether. This can be detrimental because it allows the fear to be reinforced without giving the lessons a chance to work and the instructor the opportunity to alleviate the student’s fears. Please be patient and allow the instructors and staff to do what we do best - teaching every child to learn to swim and so love to swim! 16. What should I bring to Class? All you need to bring is a swimsuit and towel, goggles & hat are optional. Your child (or Adult) may bring his or her own pair of goggles & hat. Be sure to write your child's name on their personal goggles with a permanent marker. Goggles are good fun and necessary once starting to swim lengths. In the early stages children should learn without goggles, just so they don't panic when water does get in their eyes. Wearing a swim cap is preferred as it is not only hygienic but also stops water running into your child's (or Adults) eyes and mouth when their face is lifted out of the water. This makes concentrating easier which in turn helps your child's progress. 80% of body heat is lost through the head, therefore wearing a cap reduces heat loss. Swim caps also help maintain water quality. We provide swimming aids, learning toys and arm rings, so no need to bring anything like that along. Warm clothes after class is always a good idea. 17. How Many - In a Class? Small class sizes are a key factor when choosing a Swim School. We defend this vigorously by making sure that the first four levels of our program have a maximum of six children in the class. We move to 5-6 children within the intermediate development levels, and four to five within our more advanced Swimmers levels. Adult Classes are generally around the 6-8 people, highly sociable and supportive to each other, our Adult Classes are taught by Adults too Adults in both Beginners & Improver's Classes. In our JEM Babies classes we have a group class of 6-8 Parent & Baby. 18. My First Day at Class? Most students come ready to go with their swimsuits under their clothes. We recommend that you arrive 10 minutes early on the first day. This allows for the swimmer to adjust to the new surroundings. Please wait at the bench area keeping warm until your child is escorted to your instructor, they will then introduce themselves and any assisting staff, preparing them for class, procedures and pool entry. 19. How Many - Lessons to Swim? It depends on what you might consider swimming. Some consider just making it to the side of the pool learning to swim. At JEM, water safety is our first priority. Our immediate goal is that every child can consistently jump in and return to the side of the pool unassisted. The learning curve for young children fluctuates. 14-20 lessons typically will provide a suitable foundation with reference to sustainable kicking, adequate arm circles, rolling to breathe, treading water, general swimming mobility, and safety awareness. Like dance or music, swimming is a process that must be nurtured and developed over time. 20. Youngest Age - Join a Class? 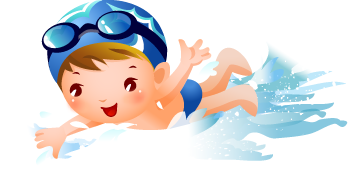 Ideally, the best age to enrol a child in a formal swimming lessons is 3 years of age. This is our First entry level teaching class in a non-parent participation lesson. Generally, a child is not mature enough to be in this type learning environment until they willingly go to someone that they don't know, can listen and follow directions, and have the large motor skill development necessary to comprehend and acquire skills to become an independent swimmer. 21. Are we Ready - For a Class? JEM provides this unique stepping stone class Water Ducks for those kids of 3 years and over who are not ready to leave Mum & Dad just yet and join a beginners swim class. Mum or Dad ( or both) joins the little one's in our Water Ducks group and have great fun in this shared learning exercise. Each class is fun and educational, building water confidence and provides a basic introduction to swimming. Go swimming as a family: Have fun, and be safe! Children over 3 years of age should be socializing, playing and enjoying the water with adult supervision and using a floating device. This will prepare them for a great swimming lesson experience when they are age appropriate and ready to move into a JEM swim class for Beginners, a structured formal lesson environment. It can be hard for an Adult to begin swimming lessons for various reasons, but with the right attitude and positive support it can be done, we've seen it some many times. If you don't feel ready to join a class you may want to consider some Private 1:1 lessons to begin with. You can discuss your fears and begin to break them down. When your ready you can progress into one of our beginners groups, and be amongst others like you who want to learn to swim. Parent & Baby classes are available for 3 - 36mths, baby is accompanied by either or both parents to join in the class fun, education and bonding experience together. Some parents can feel little apprehensive taking baby into the pool to join a class, wondering if it's safe and will baby enjoy the experience. Rest assured at JEM's we have many years of experience and consider safety to be or first and foremost priority, before the end of your first class, you and baby will be having a blast. 22. How Long - Learn to Swim? Children are all different. Each child progresses at a different pace and is on his/her own journey, they have different personalities, and are at a different stage of their personal development and coordination. Some can join a Beginners Class and be swimming in a few lessons, others take much longer. Those that have a fear of water may take more. Our caring, supportive approach and positive environment encourage the students, recognizing their individual and unique needs on their way to improvement through the swimming levels. 4. Why - Learn to Swim? 5. Do You have Adult Lessons? We believe that all adults should know or learn how to swim comfortably. This is particularly important for parents, it will help insure the safety of their children in and around a water environment. We have instructors who are trained to help adults learn to swim with dignity and respect, they can then go on to perfect their stroke and gain fitness. An Adult that newly learns to swim will gain so many added opportunities in life, and ultimately lead a healthier lifestyle. 6. What is - Fear of the Water? 7. Can I Change - day or time? 8. How Many - In a Class? 9. Can I Enrol Mid -Term? Swimming Classes and Courses are developmental, socially dynamic and have a common collective goal which is to advance, progress and learn water skills together as a group. So it is advisable and preferred to join at the start of a term, however some of our terms can span over an 11 week period and we are often asked and joined by new students after the current term has commenced. So the simple answer to this question is Yes!, providing we have a space for you in your selected class or private lesson you can Enrol late even though the current term has commenced. At JEM we deliberately have small class groups, so the instructor will be able to bring you and your child up to speed quickly and integrate fully with your new class.